Baseplate copyright 2002. #3 of 42. 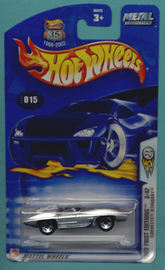 Black '2003 First Editions' & 'Corvette Stingray' on sidebar. 2003 35th Anniversary Card (1968-2003).